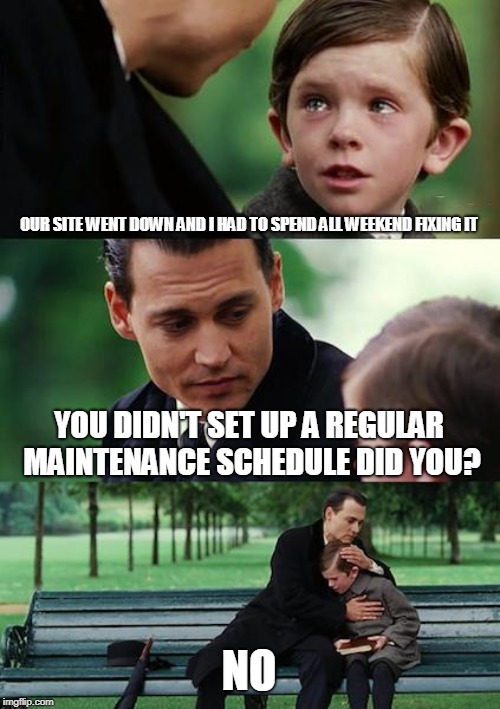 CMS maintenance is far more important than most marketers realize until it’s too late. Your website is a worldwide door into your business, and when things go wrong it can have an everlasting effect. Oftentimes the idea of maintaining a website may not be something you even think about. You may think that since it’s working right now, it will be working tomorrow too – nothing could go wrong, right? Here are five reasons why that mindset is dangerous, and what you can do to keep a maintenance schedule top of mind. The No. 1 reason to keep a regular maintenance schedule for your website is, above all, security. There are too many nefarious characters operating out there in the world wide web, and they will stop at nothing to gain access to your site for many different reasons, such as the sheer thrill of it, stealing user information and/or taking down your site. When working with a CMS like WordPress or Drupal there are some plugins that can aid in keeping these evildoers at bay. For WordPress, we recommend Wordfence, as the settings can help lock out a user attempting to log in multiple times and even help prevent logins or access from IPs and regions that should not be accessing your site. For Drupal, we recommend a few assistive modules, including Login Security and and Security Review. While Login Security helps limit login attempts and deny access for certain IPs, Security Review will look at your site for potential vulnerabilities. A solid CMS maintenance schedule will include reviewing these security logs and ensuring that out-of-the-ordinary traffic is prevented. Directly related to security is checking for outdated and/or incompatible components. Outdated components are often the most common cause for a site being hacked. In the case of a CMS like Joomla, WordPress or Umbraco, plugins can be extremely useful, adding new, exciting and sometimes vital functionality to your website. The downside to using extensions is that they require updating both for security patches and for broken functionality. When a security vulnerability is discovered, responsible extension creators will update their software, patching the security issue and making the update available to users. It is the site owner’s responsibility, however, to ensure this updated software is applied. Outdated components are often the most common cause for a site being hacked. The core code for your CMS may also be the recipient of a security or routine update. It is usually crucial to update your core CMS to ensure that you receive these security patches as well as functionality updates. When making these updates, it may also be necessary to update and troubleshoot compatibility with your extension components as well. This is where having a CMS maintenance schedule can aid in setting aside the appropriate resources to ensure this is done smoothly. While the copy may have been great when you launched your site, and all of your internal and external links were in working order, this can become less true over time. Periodically look at your content and run a link checker to ensure your content is still relevant and your internal and external links are still working. Where you find internal links that are no longer working, you should ideally check why your page is broken and fix the issue, or remove the link from your content. Where you are linking to an external source, broken links should either be removed completely or an alternative URL found. The web is an ever-evolving landscape where new technologies and new features are developed each day. In addition to new technologies, trends in design and user interactions are also ever-changing. Keeping up to date on these trends can be vital in maintaining a user base and growing it via search. As features and trends in web design and development become obsolete, keeping these features and/or not updating them for the modern web can cause your site to look outdated and perform slowly. If a site looks and feels outdated, a user will be more likely to leave a site, having decided that the information they were looking for will also be outdated, or the site does not have enough authority on the topic. A key feature of any CMS maintenance schedule should be evaluating these features and your site’s usability. Determine if small updates should be made or even full website redesigns undertaken. Today’s users are increasingly impatient, and research shows slower page response times directly lead to an increase in page abandonment. Forty-seven percent of users expect a web page to load in 2 seconds or less, while 64 percent expect a mobile page to load in less than 4 seconds. There are many factors that can have an effect on your page speed, including outdated components, cutting-edge features, hosting and DNS services. Forty-seven percent of users expect a web page to load in 2 seconds or less. As part of a CMS maintenance schedule, you should be running a page speed test on multiple pages of your site to determine if any optimization can and should be done, with the aim of improving existing performance. Over time it is not uncommon for page speed to slowly slip until there is a severe and noticeable lag for your end users. While it can seem costly to conduct routine maintenance on your website for a few hours each week or month, it can be far more costly to wait until there are obvious and noticeable issues. Users will immediately notice increased loading time, broken features or, even worse, a site being down completely. These issues can result in loss of site visitors as well as loss of revenue. 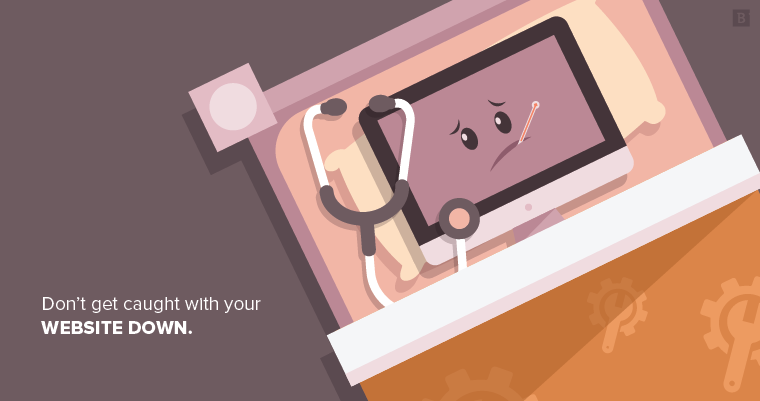 Don’t get caught with your website down. Set up a regular CMS maintenance schedule to maintain the health and welfare of your website as you would yourself.